Battle royale games have become all the rage over the last few years with Fortnite, PUBG, and Call of Duty Blackout being the most played games. But last week, Respawn Entertainment, who are known for the Titanfall games, came out of left field and released its own take on the genre with Apex Legends. Most gamers didn’t know about the development of the game, only hearing about it just a few days before its the official release. But this free-to-play battle royale game sparked a lot of interest, and for the past week, we’ve been playing it. So can Apex Legends be the game that covets that number one spot? Apex Legends takes place within the Titanfall universe in a place called Kings Canyon. “Legends” as they’re called are the characters who are fighting for guts and glory, eliminating any competition ahead of them as they vie for that number 1 champion. In making this game, Respawn wanted to incorporate certain features from other games to give their battle royale game a different look and feel. 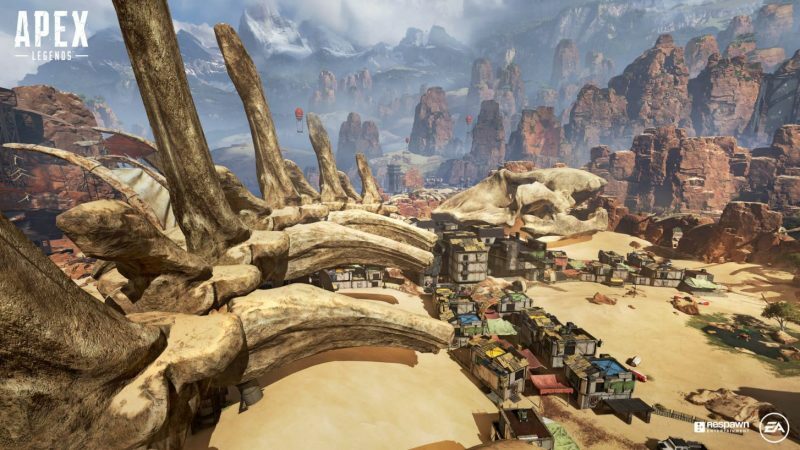 Visually, as a first-person battle royale game, Apex Legends is very pleasing to the eye. If you’re familiar with the aesthetic of Titanfall, then you’ll appreciate Apex. Kings Canyon is rich in detail, and the characters are given their own sense of identity. Weapons in the game are exactly the same as in Titanfall, so you’re favorite SMGs, LMGs, and Sniper Rifles will make an appearance. Apex is all about teamwork. 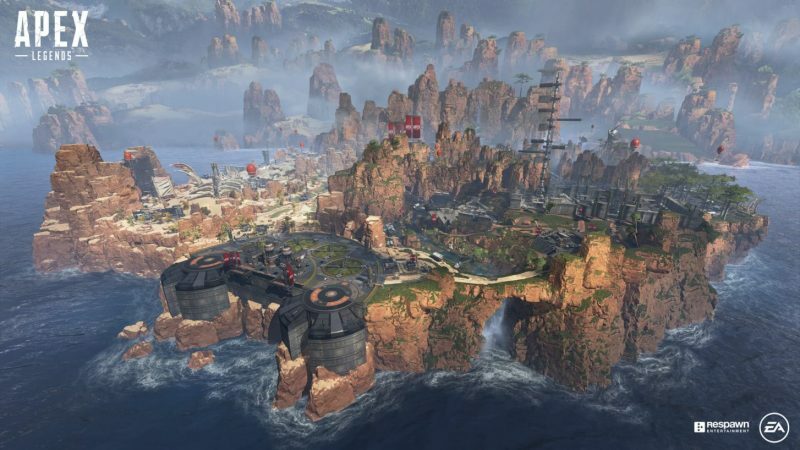 Unlike most battle royale games, Apex Legends will only place 60 players in a match, within that number, there will be 20 squads, meaning that there will be three people to each squad. No more, no less. 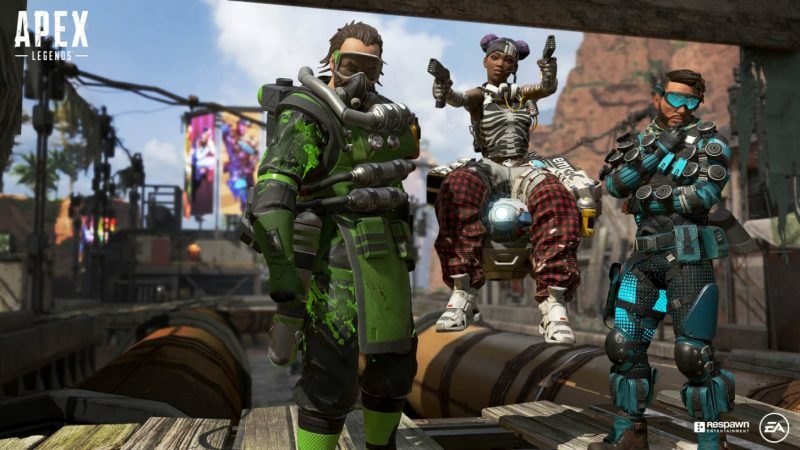 Apex Legends has no option to play in a solo game, if players want to go off on their own, they’ll have a choice to jump all by themselves at the very beginning of the match. When it comes to deploying from the dropship, your team will automatically designate a “jumpmaster.” This selected person will be responsible for where your team lands and how quickly they get there. This is an interesting concept because it helps utilize the other two players to look and keep an eye out on enemy teams. Team communication is also made to be extremely easy and useful. Essentially, when playing with random players, the guesswork of communication is taken out. With a simple press or two presses of a button, you can tell your jumpmaster where you think you should land, tell your team where you think they should go, inform your team where enemies are, and you can even tag supplies and weapons to give your teammates a chance to pick them up. Mobility is a big factor in Apex. Scattered amongst the map, you’ll find zip lines, and jump towers to help your character make their way across the landscape. This helps players reach new places in an instant, or help them outrun the circle when it’s closing in. Since the game is, of course, built-on the Titanfall gameplay, sliding and climbing walls is included. (Sorry, no double jumps or running on the side of walls.) This type of mobility gives us players the chance to catch enemies off guard or reach new vantage points to flank enemies from above. But of course, with the ability to climb certain walls and cliffs means that no hiding place is ever safe. There are eight different characters that you can choose from to play, with six of them being available right out of the gate. The other two players you’ll have to pay for, by either paying for the in-game digital currency or gaining them in apex packs. Each character is given a passive, special, and ultimate ability. The passive abilities will automatically turn on when it’s needed, the special ability can be triggered with a designated button, but players need to be strategic with their special abilities since they do have a cooldown time. The ultimate ability will power up by itself over time and can easily change the course of a firefight. By adding character abilities, respawn has allowed players to dive deep into each character to figure out the perfect team composition that can help them gain that top spot. Apex Legends does a great job of making the gameplay feel epic. Before the game even begins, Apex lets you know who the current “champion” is, making them a target for the other players. The moment you jump, you are greeted with a cinematic soundtrack that gets you pumped up and ready and puts you in the mood to step up your A-game. As the game goes on, there will be in-game announcements made that will let you know if the current champion has been slain, or if there’s a kill leader on the field. When the map starts to close in, there’s no gimmick in calling the converging circle a storm or a fog. Apex just lets you know that the ring is closing in. It’s these small nuances that make the game feel bigger than it is. It reminds us of movies like the Hunger Games or the 2000 Japanese film Battle Royale. 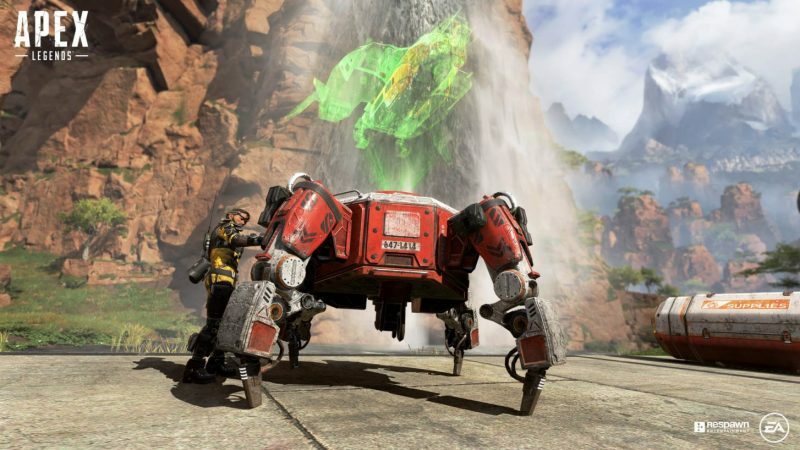 Now Apex Legends isn’t perfect, and regardless of its strengths, it does have some weaknesses. Apex has a learning curve to it, and if you’ve played other battle royale games, don’t expect to easily transition to this game thinking you’ll get that top place right away. Weapons are pretty sparse, with pistols and shotguns being the most common ones you’ll find. So if you’re landing where a lot of players are landing, be quick, because you can easily be killed, left with nothing but your own shame. Weapons and armor don’t feel balanced, which can either work in your favor or against you. When it comes to weapon attachments, only certain attachments will work with certain weapons. So if you find one, you’ll have to take the time to hover over it and read if it’s compatible with your current weapon. For some, this might not be a big problem, but when in a battle royale game, where every second means life or death, you don’t want to take the time to figure out which works with which. And of course, you don’t want to pick up unwanted items, especially when the amount you can carry in the beginning is limited. 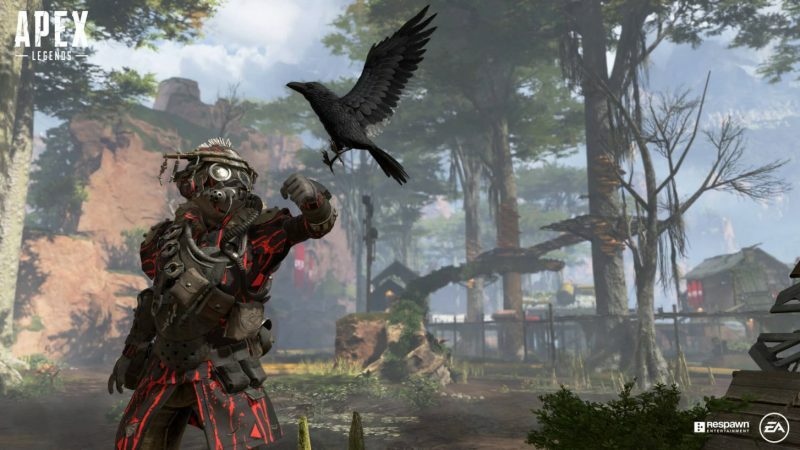 With Apex Legends coming out of nowhere and diving right into the competitive field of battle royale games, Respawn Entertainment has produced a stunning and fairly polished game that feels epic and has some great gameplay. With the inclusion of special and ultimate abilities, players have a better grip of strategizing for a win. Granted you can jump into a firefight and use your cat-like reflexes to out-shoot your opponent, but I think you’ll get better satisfaction watching Gibraltar’s orbital landstrike wipe out your opponents. Team communication is easy, useful, and great, but weapons and armor have a discrepancy in the way they’re balanced. Apex servers are an issue. There have been numerous times where I would be disconnected from them or have to wait a while to connect to a game. This is probably due to Respawn and EA underestimating the number of players it would get at its launch. Nonetheless, Apex Legends has done a great job of making us want to really put in the hours in the game, and I’m fairly positive, that any future updates will make the game even more enjoyable. Apex Legends is free to play and is available on PC, Xbox, and PS4. The post First impressions of Respawn’s Apex Legends appeared first on Nerd Reactor.